Ever since I took French in high school, I have loved crepes. Sweet, savory, no matter what you put in them, crepes are amazing. However, good crepes can be difficult in find in restaurants and crepe shops are a rarity in America. 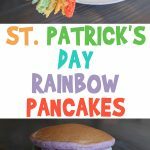 What may surprise you is how easy crepes are to make! 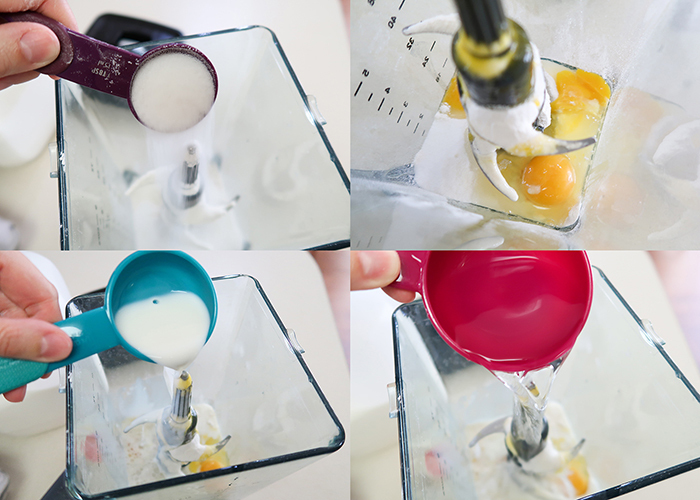 Today I’m sharing this Blender Dessert Crepes Recipe. Yes, you read correctly. I did say blender. It’s the easiest way to make perfect crepe batter super fast! 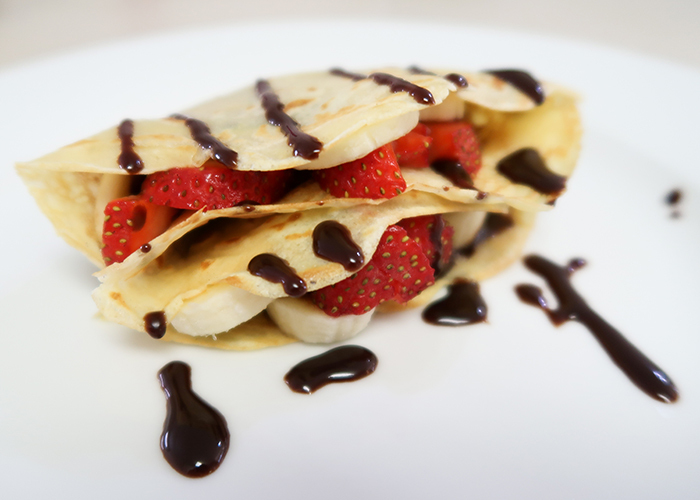 You can use all kinds of different fillings to customize your crepes, from a strawberry banana chocolate crepe to a raspberries and cream crepe. Here’s what you’ll need! 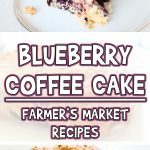 Check out our popular blueberry coffee cake recipe, too! Fillings for your crepes like berries, bananas, chocolate syrup, whipped cream, peanut butter, nutella, etc. Start by melting your two tablespoons of butter in the microwave and letting it cool. Grab your blender, and add in your flour. Add in your sugar, eggs, milk, and water. Then throw in your vanilla and cooled melted butter. 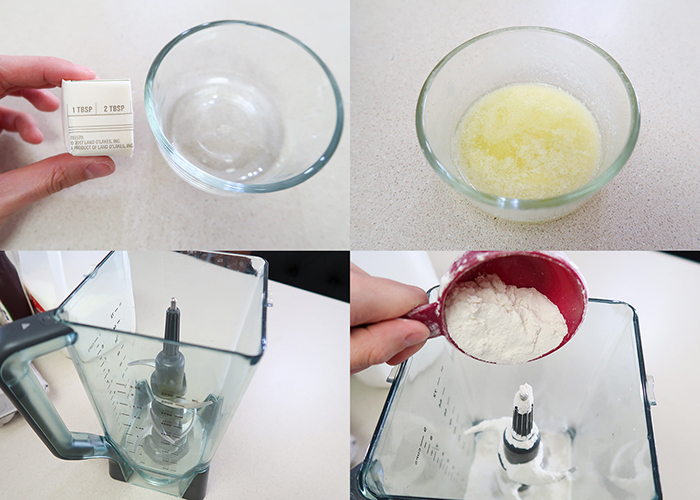 Go ahead and blend using the pulse function until everything is fully blended. 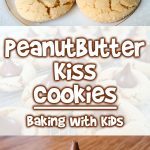 You may need to take a spatula and loosen some excess flour from the sides or dislodge any lumps, and blend until smooth. This should only take 20-30 seconds of blending. Now set your batter in the fridge for at least 30 minutes to let the bubbles settle, or until you’re ready to use it. The batter is good in the fridge for up to two days. When you’re ready to make your crepes, have your non stick spray or butter, your batter, and a 1/4 cup measure close at hand. Heat a non-stick pan up on medium heat and then spray some non stick on the pan. Add 1/4 cup of batter to the pan, and use your wrist to rotate the pan so the batter distributes around the pan like shown. For thicker crepes, use a smaller pan or more batter. 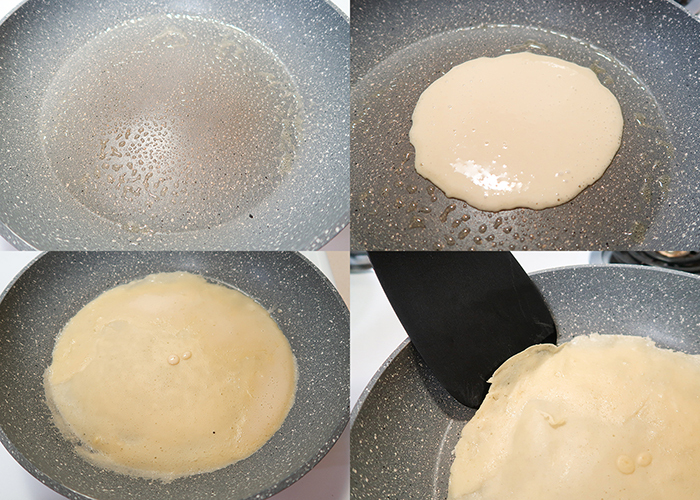 For thinner crepes, use a larger pan or less batter. Let it cook on one side for about 2 minutes until it just starts to brown. Use a large thin edged spatula to get under the crepe and flip it. Let the other side cook for about two minutes as well, and when it’s done just slide it out onto a plate! 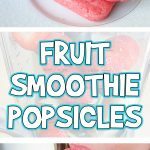 These stay flexible even when cool, but if you want them warm I suggest layering them all on one plate as you cook and covering them with a clean dish towel. When you’re ready to fill them, prep all your ingredients. 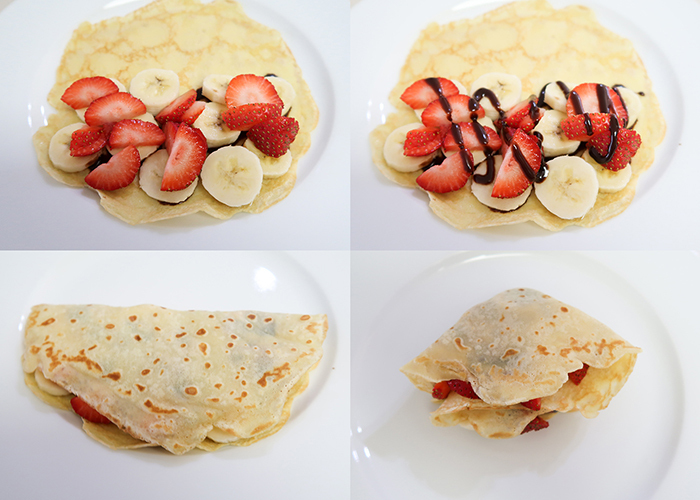 I decided to make strawberry, banana, and chocolate crepes. So I laid one crepe on a plate, and drizzled chocolate on one side. Then layer the bananas and strawberries, and topped with more chocolate. Then I folded the crepe over to cover the fillings, and folded in half again to form the traditional triangular crepe fold. You can also roll yours up like burritos if you’d prefer. Just top with more chocolate sauce! Or powdered sugar, or whipped cream, or… etc. 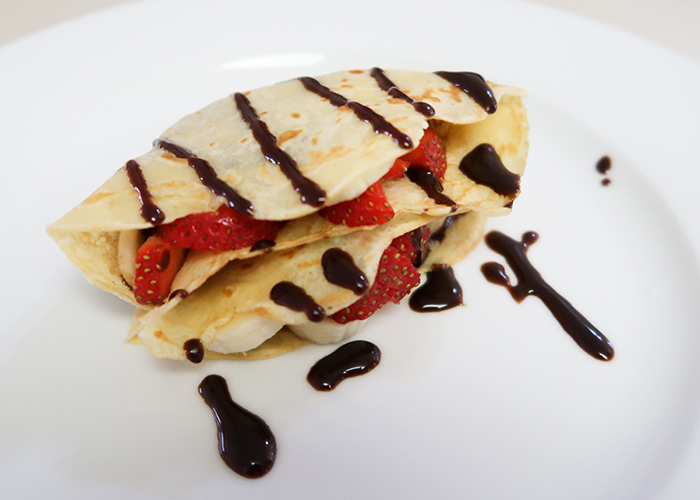 And you have some delicious, Instagram worth crepes ready to serve to your family and friends! 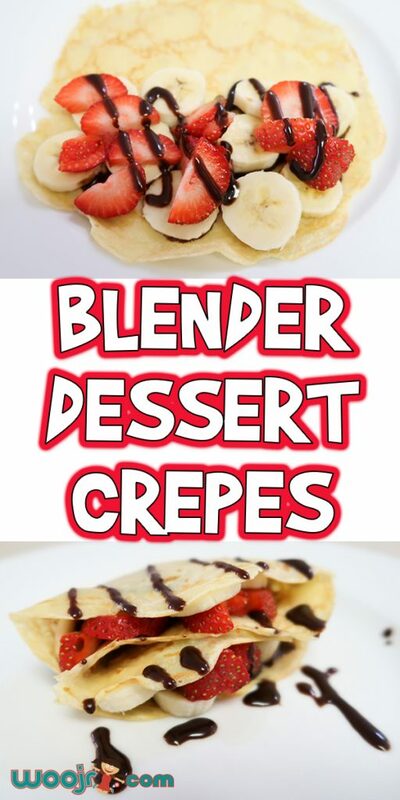 I hope you enjoy this super easy Blender Dessert Crepes Recipe and have a bunch of fun making them! Ever since I took French in high school, I have loved crepes. Sweet, savory, no matter what you put in them, crepes are amazing. 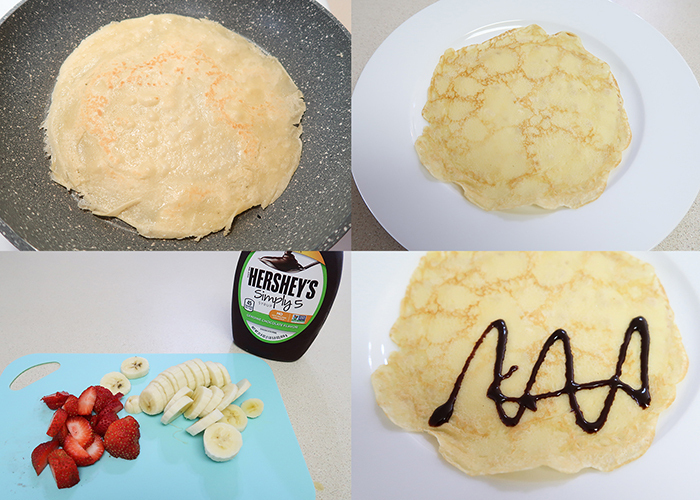 What may surprise you is how easy crepes are to make! 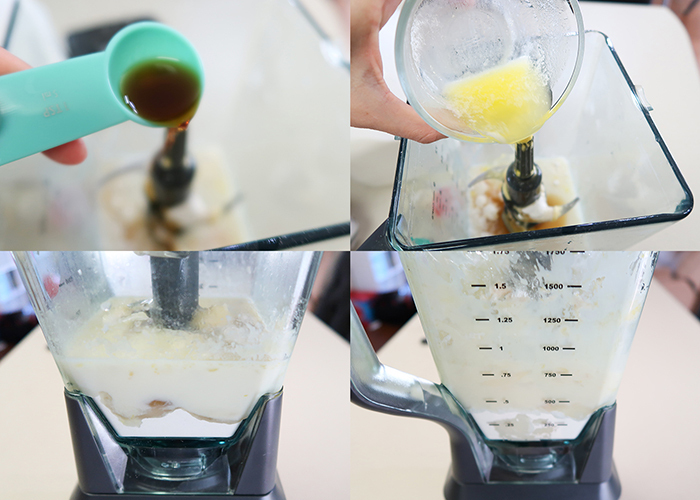 Today I'm sharing this Blender Dessert Crepes Recipe. Yes, you read correctly. I did say blender. It's the easiest way to make perfect crepe batter super fast! 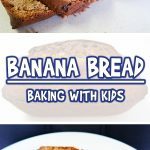 You can use all kinds of different fillings to customize your crepes, from a strawberry banana chocolate crepe to a raspberries and cream crepe. Here's what you'll need! Start by melting your two tablespoons of butter in the microwave and letting it cool. 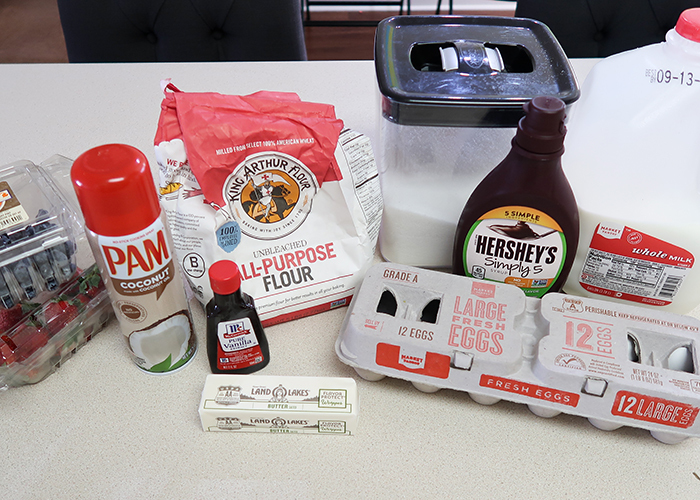 Grab your blender, and add in your flour, sugar, eggs, milk, and water. 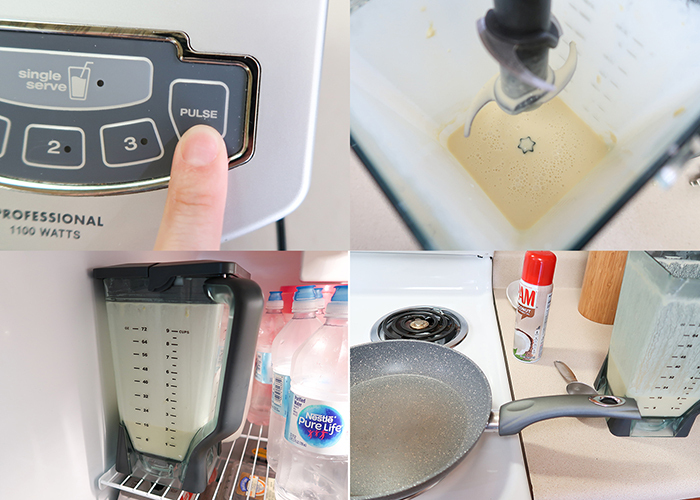 Go ahead and blend using the pulse function until everything is fully blended. This should only take 20-30 seconds of blending. Now set your batter in the fridge for at least 30 minutes to let the bubbles settle, or until you're ready to use it. The batter is good in the fridge for up to two days. Heat a non-stick pan up on medium heat and then spray some non stick on the pan. Add 1/4 cup of batter to the pan, and use your wrist to rotate the pan so the batter distributes around the pan like shown. Let it cook on one side for about 2 minutes until it just starts to brown. Use a large thin edged spatula to get under the crepe and flip it. Let the other side cook for about two minutes as well, and when it's done just slide it out onto a plate! 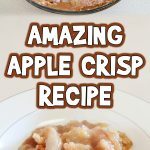 These stay flexible even when cool, but if you want them warm I suggest layering them all on one plate as you cook and covering them with a clean dish towel. When you're ready to fill them, prep all your ingredients. I decided to make strawberry, banana, and chocolate crepes. So I laid one crepe on a plate, and drizzled chocolate on one side. Then layer the bananas and strawberries, and topped with more chocolate. Then I folded the crepe over to cover the fillings, and folded in half again to form the traditional triangular crepe fold. You can also roll yours up like burritos if you'd prefer. Just top with more chocolate sauce! Or powdered sugar, or whipped cream, or... etc. And enjoy!